I’m a mineral! Get me out of here! On Monday, 1 December at 4 pm, the mineralinos will get together for the last time this year, for a Christmas party full of minerals. The children will gain insight into the very long journey a mineral has to take before it is put on display at terra mineralia. Parents are also welcome to join in the fun! With around 3,500 minerals on display, terra mineralia is one of the largest mineral exhibitions in the world. But for now, the question is: Where did all of these minerals actually come from? In order to answer this question, the “mineralinos” will embark on an exciting hunt for clues all the way through terra mineralia. They will find out how the minerals were found in their natural environment and how they were mined. During this process, they will get to know a wide range of minerals that can occur in very different shapes and colours. 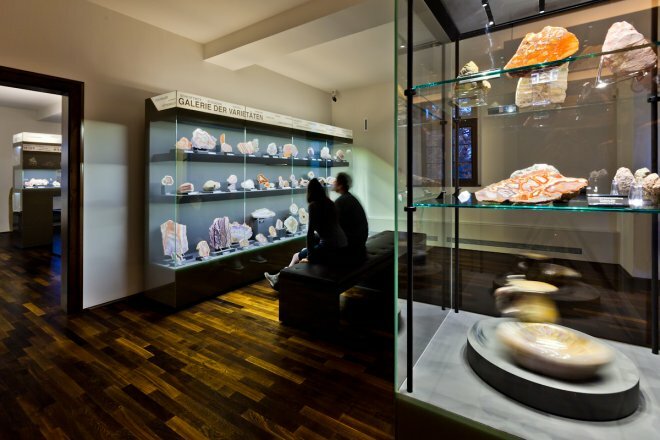 This lends enormous diversity to the exhibition, making it a very interesting place to admire minerals. Whoever is interested in finding out where the various minerals come from and what their natural environments look like is welcome to join us at the “mineralinos” Christmas party. Afterwards, there will be cookies, baked goodies and liquid refreshments in the “Research Expedition”. The “mineralinos” meet at the terra mineralia cash desk at Freudenstein Castle. For further information, contact the Info Desk on 03731 394654 or at fuehrungen@terra-mineralia.de. 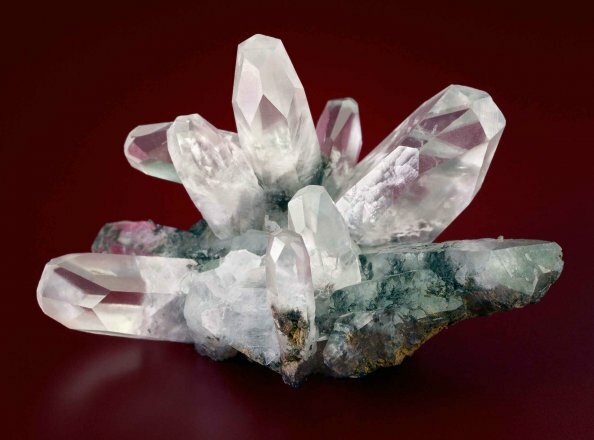 The mineralinos have already been introduced to plenty of crystals. But can you actually grow them yourself? ‘You actually can make beautiful crystals yourself, but they’re not natural products then, they’re artificially produced,’ says Jan Marc Wagenau, the mineralinos leader at the terra mineralia, TU Bergakademie Freiberg’s geoscientific collection. ‘Kids will first see for themselves the similar processes that take place in nature, and that’s something you can see perfectly from fully formed crystals.’ Kids will conduct exciting experiments growing crystals as well as learning what everyday materials they can use to grow crystals at home with their whole family. And our young researchers will learn what to watch out for if they want to grow beautiful crystals at home, this month at mineralinos. The mineralinos meet at the terra mineralia ticket office in Schloss Freudenstein. For more information, please get in touch with the Information Desk on 03731 394654 or fuehrungen@terra-mineralia.de. 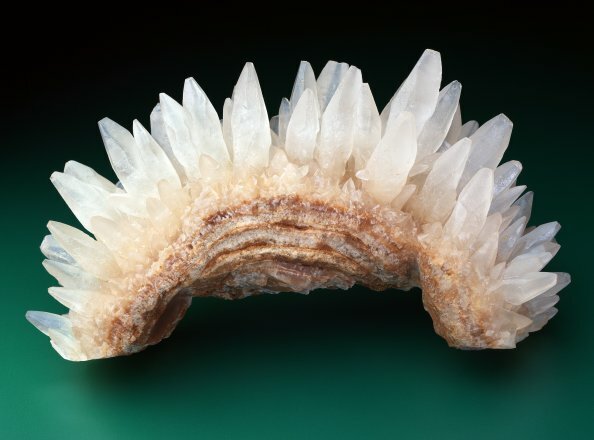 Calcite is an exciting mineral. It takes on many different shapes and colours and it can be found all over the world. A mineral collection simply cannot be without it. 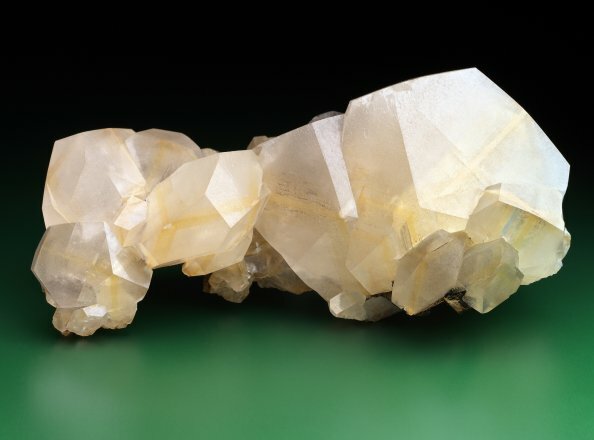 If the mineral calcite is so common, it cannot possibly be unusual and it cannot be of particular importance. Wrong! 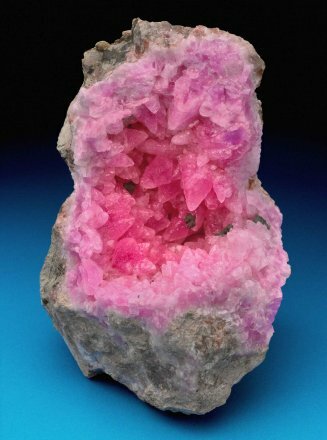 Calcite is a very interesting and exciting mineral. 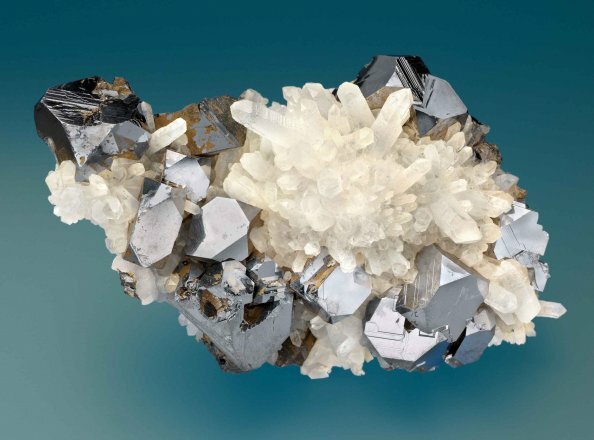 Jan Marc Wargenau, head of the mineralinos says: “This is due to the fact that calcite is, so to say, the world champion of forms, because it can take on well over 600 different forms. 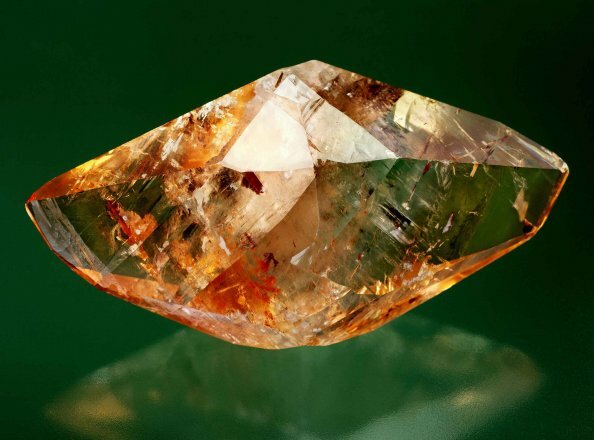 Furthermore, calcite offers an enormously wide range of beautiful colours, which makes it even more interesting”. But different shapes and colours are just the beginning. 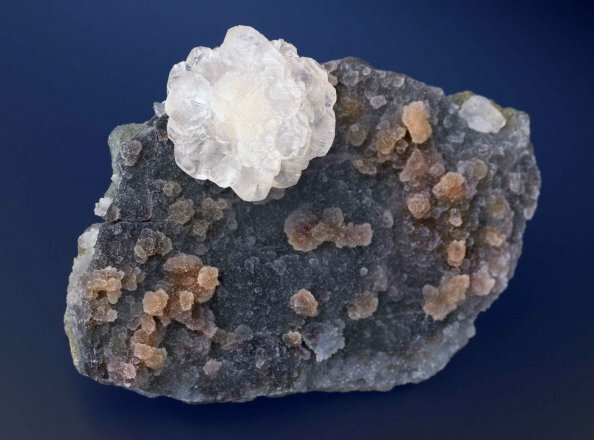 You will also find a lot of calcite at the current special exhibition at terra mineralia, which is dedicated to little the life-forms known as foraminifera (“Foraminifera: Little master builders of the ocean”). We therefore look forward to spending an exciting afternoon with all interested children, during which we will go on an exciting journey to many different forms of calcite. The mineralinos meet at the terra mineralia cash desk at Freudenstein Castle. Further information is available at the Info Desk on 03731 394654 or at fuehrungen@terra-mineralia.de. Calcit, Irai, Rio Grande do Sul, Brasilien, 8 x 8 cm, Foto: Jörg Wittig, Dresden. Calcit, Croft Pit, Bigrigg, Cumberland, Großbritannien, 9,5 x 5,5 cm, Foto: Jörg Wittig, Dresden. Calcit, Huangpolong, Hunan, China, 17 x 7,5 cm; Foto: Jörg Wittig, Dresden. Calcit, Kolwezi, Katanga, Demokratische Republik Kongo, 8,5 x 12 cm; Foto: Jörg Wittig, Dresden. 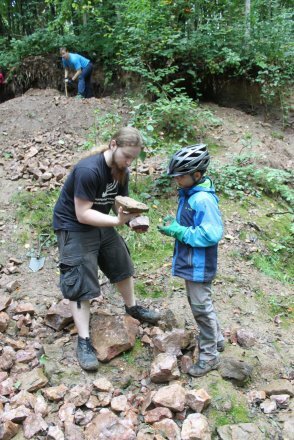 As a follow-up to our visit to the Lorenz Gegentrum Mine Dump in Halsbrücke last year, we would like to look for agates in Schlottwitz. The number of participants is limited to 25 children with their parents. 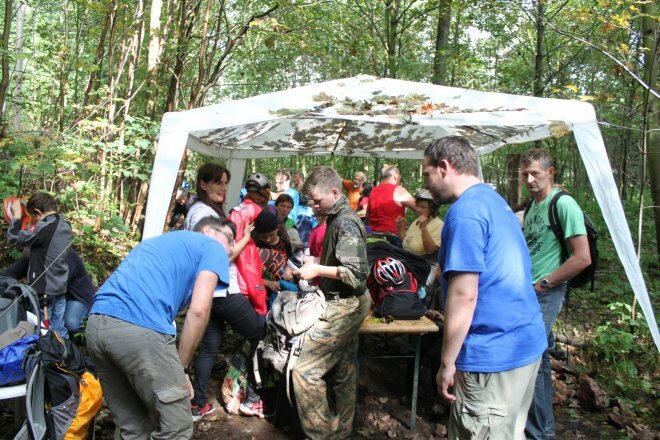 Please register your child at the terra mineralia Info Desk (03731 394654 or fuehrungen@terra-mineralia.de) by Wednesday, 17 September 2014. The number of participants is limited. Please register your child at the terra mineralia Info Desk (03731 394654 or fuehrungen@terra-mineralia.de) by Wednesday, 9 July 2014. On Monday 8th September at 4 pm, the children of mineralinos – the children’s club of terra mineralia – are getting ready for their annual summer excursion. 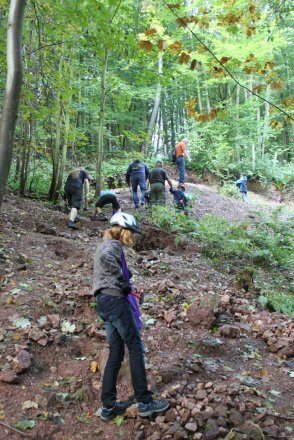 On Saturday 20th September, they will head off on the hunt for agates in Schlottwitz, Dresden, together with participants from Mineralogen AG. To prepare for their outing, they will meet next Monday at terra mineralia to show each other what they have already found during their summer holidays, and maybe even swap their treasures. The summer holidays are now over, which means the mineralinos children can look forward to an exciting afternoon at terra mineralia. “Many of our little mineral collectors have certainly been very industrious during the summer holidays and I’m curious as to where in the world they found their exciting and stunning finds, which we’ll all have the chance to admire together,” says Jan Marc Wargenau, leader of mineralinos. “I’m extremely impressed and amazed by the persistence shown by the children when it comes to looking for minerals, and am really looking forward to taking this trip with them.” The children at mineralinos also have the opportunity to bring their holiday finds with them, to have them identified and to swap them with the other children if they wish. The mineralinos children will meet at the reception desk of terra mineralia at Freudenstein castle. For further details, please contact the information desk on 03731 394654 or email fuehrungen@terra-mineralia.de. On Monday, 7th July at 4 pm, the terra mineralia children’s club, the mineralinos, will be preparing for this year’s summer excursion. Together with participants from the Mineralogists’ Club they will be going in search of minerals on Saturday, 12th July. 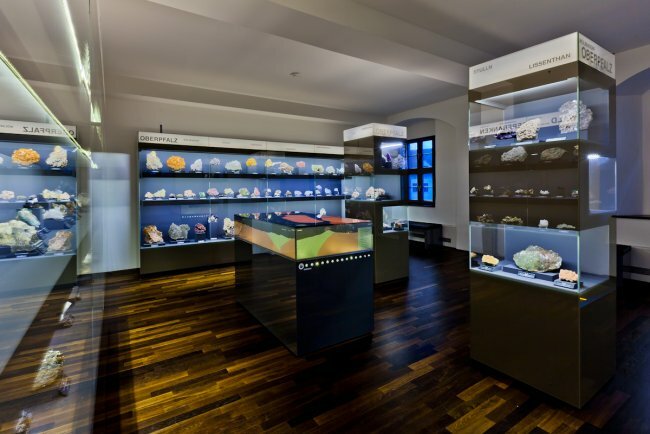 They will be meeting for their preparations at the German Mineralogical Collection next Monday. Here, they will find out where minerals can be collected in Saxony. With its diverse geology, the Federal State of Saxony is a veritable paradise for mineral collectors. The mineralinos will get some insight as to where they can go collecting with the whole family, right on their doorstep. 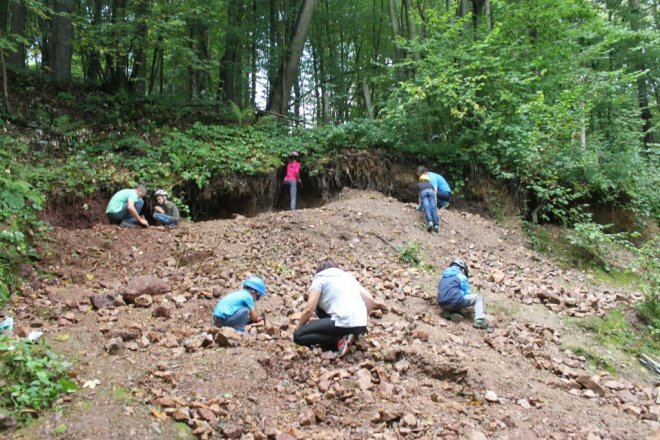 They will take a look at minerals found at various sites in Saxony and find out which collection sites are accessible, in case a mineral is missing from their own collection. 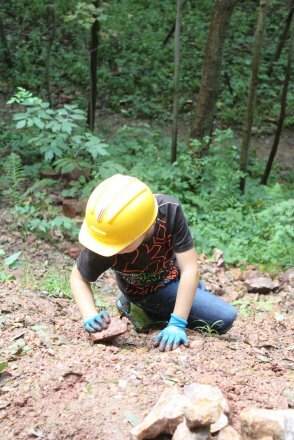 At the same time, the children will also learn what else they need to consider and what they always need to take along when they go hunting for minerals. The mineralinos meet at the terra mineralia cash desk at Freudenstein Castle. For further information, please contact the Info Desk: 03731 394654 or fuehrungen@terra-mineralia.de. 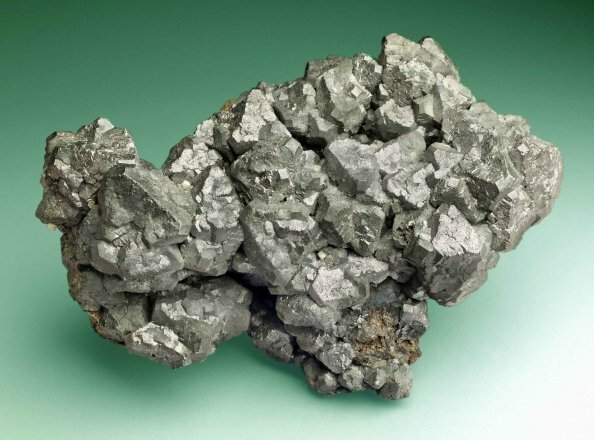 Miners call it lead glance and Abraham Gottlob Werner, the “father” of mineralogy, also used this term to describe a specific mineral. But which mineral could this be? Perhaps it has something to do with lead or we wouldn’t use this name for it. 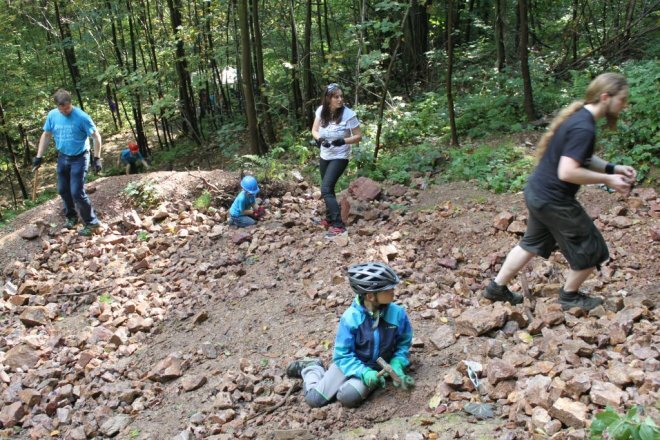 The children will learn about the history of the mineral, lead glance and about the special significance it has for several places including Freiberg. We will get to know this typical Freiberg mineral and find out where else it can be found in Germany. You will also see that in lead glance one often sees perfect shapes – but you will have to come and find out for yourself which shapes we mean. If you also want to find out what makes lead glance so special and where it can be found in Germany, we look forward to seeing you at the mineralinos next meeting. The mineralinos meet at the terra mineralia cash desk at Freudenstein Castle. For further information, please contact the Information Desk on 03731 394654 or at fuehrungen@terra-mineralia.de. Galenit, Grube Helene, Beuthen, Oberschlesien, Polen, 15 x 11 cm, Foto: Jörg Wittig, Dresden. Galenit mit Quarz, Dalnegorsk, Primorskij Kraj, Ferner Osten, Russland, 9 x 5,5 cm, Foto: Jörg Wittig, Dresden. This time the mineralinos will learn all about what minerals have to do with electricity. Electricity is indispensible in our everyday lives. We need it for almost everything. But what exactly does this have to do with minerals? Regardless of whether one thinks of wind power generators, coal power stations, solar power generators or even nuclear power stations, minerals play a very special part. The children will take a look at minerals that are very important for the generation of power and learn where they come from and what their role is in the production of electricity. If you have also always wanted to know which minerals are responsible for getting the electricity into your home, we look forward to spending the afternoon with you at the mineralinos’ next meeting. The mineralinos meet at the terra mineralia cash desk at Freudenstein Castle. For further information, please contact the Info Desk on 03731 394654 or fuehrungen@terra-mineralia.de. 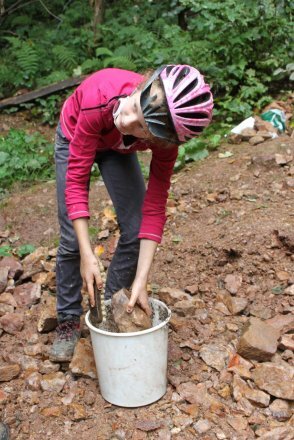 On Monday 7 April at 4 pm, the terra mineralia children’s club, the mineralinos, will once again meet at Freudenstein Castle for a companionable afternoon. The subject of the get-together is “the many colours of beryl”. Beryl is a wonderful gem that comes in many different colours including the blue aquamarine and the green emerald. But there are also many other colours, and each one has its own name. Like all gems, beryl is very hard, which makes it possible to cut it into beautiful jewels. Another astounding fact is that beryl can form very large crystals. 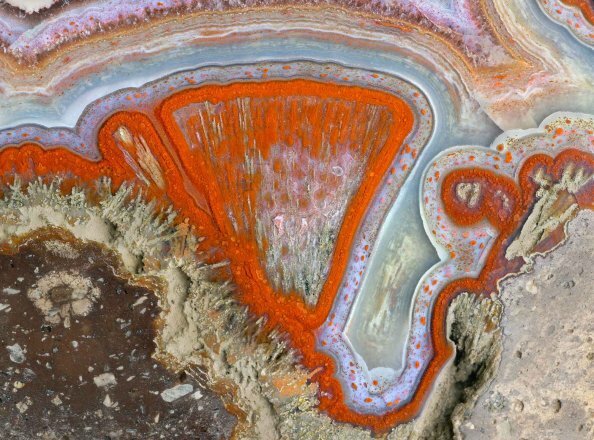 You can see some examples at terra mineralia. Of course, you won’t see the largest beryl ever found: It was up to 18m long, 3.5m thick and weighed approximately 380 tonnes. This giant was found in Madagascar. 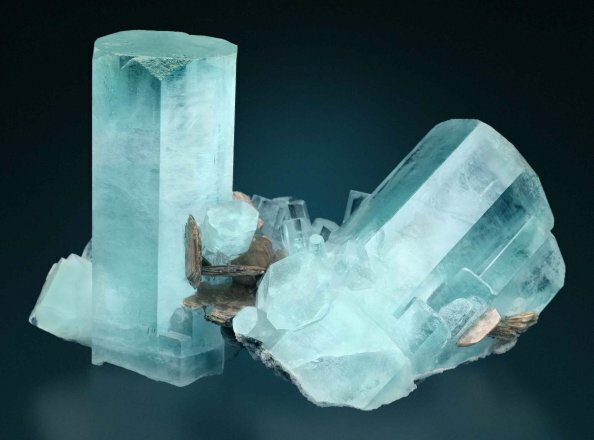 At terra mineralia, the mineralinos will get to know the mineral beryl better – its properties and peculiarities, and what this gemstone can be used for. 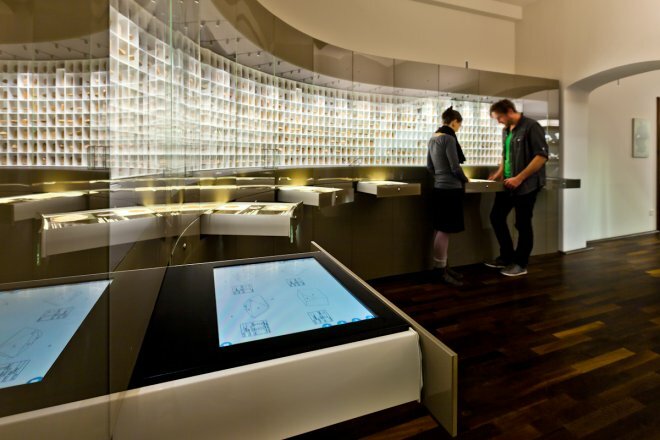 The mineralinos meet at the cash desk of terra mineralia at Freudenstein Castle. For more information, please contact the Information Desk on 03731 394654 or fuehrungen@terra-mineralia.de. 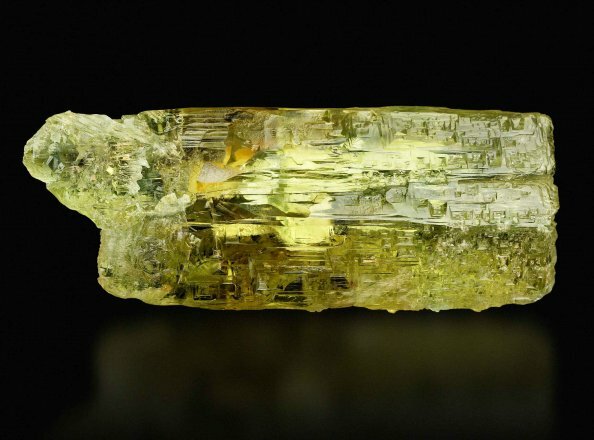 Heliodor, Wolodarsk, Wolynskij Zhitomir, Ukraine, 18 x 7 cm, Foto: Jörg Wittig, Dresden. 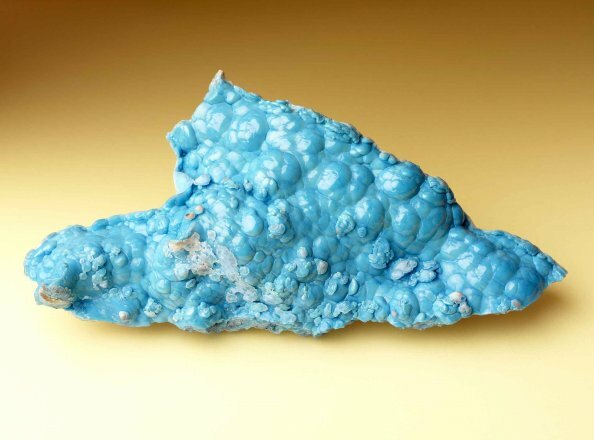 Aquamarin, Nagar, Hunza-Tal, Northern Areas, Pakistan, 15 x 9 cm, Foto: Jörg Wittig, Dresden. We move around on the surface of the earth every day. But what do you find deep inside the earth, under your feet? Join us on a trip to the very centre of the earth and at the same time learn where our minerals come from. All of us move around on the earth every day – it’s actually not the least bit unusual. But what exactly is underneath our feet? That’s what it’s all about when the mineralinos meet this month. The children are going to learn about the structure of our earth and what makes it so special. They will also get to know some new minerals that are present in our protective coat, the earth’s crust, which protects us from the hot magma underneath. If you also feel like joining the mineralinos on an exciting expedition deep into the earth, we would love to see you at terra mineralia. 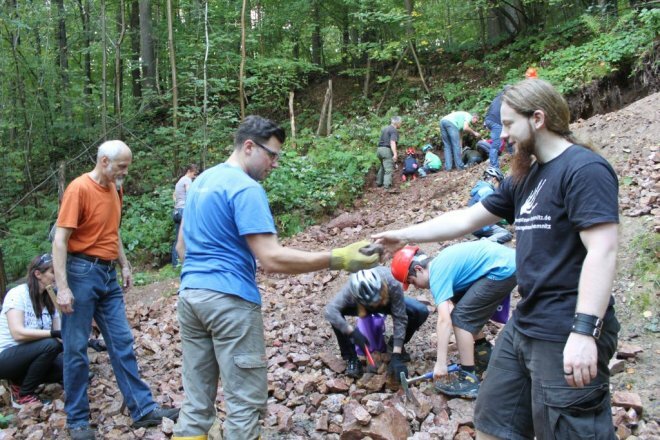 The mineralinos meet at the terra mineralia cash desk at Freudenstein Castle at 4 pm. For further information, please contact the Info Desk on 03731 394654 or via email fuehrungen@terra-mineralia.de. Each and every agate is beautiful in its own special way. 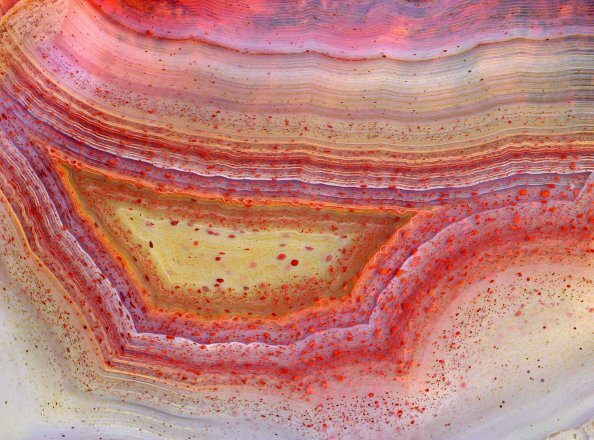 Agate has fantastic patterns, many colours and great shapes. 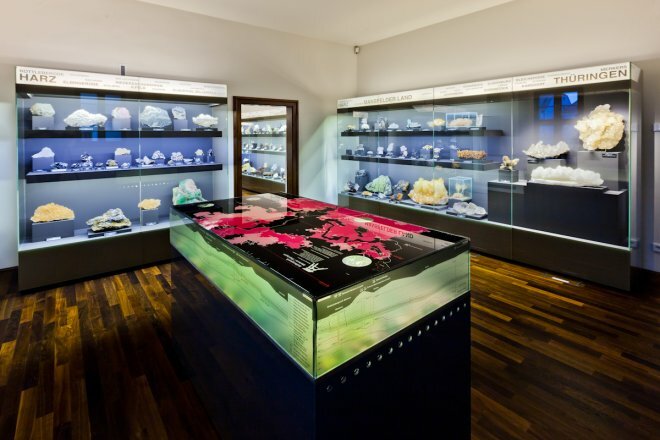 This month, you can find out everything else that you need to know about agate at the “German Mineralogical Collection” at Krügerhaus. Achat, St. Egidien, Sachsen, Deutschland, Bildbreite: 3,2 cm, Foto: Jörg Wittig, Dresden. Achat, St. Egidien, Sachsen, Deutschland, Bildbreite: 3,5 cm, Foto: Jörg Wittig, Dresden. High, higher, Himalayas – How is a mountain range formed? The Himalayan mountain range is the highest mountain range on earth. Mount Everest - the highest mountain in the world – is in the Himalayas. But how did it actually happen? Let’s find out how mountain ranges are formed and how minerals are created in the process. The Himalayan mountain range is the highest mountain range on earth. Mount Everest - the highest mountain in the world – is also in the Himalayas. But how do mountain ranges actually become so high? The boys and girls will investigate how mountain ranges are formed, what forces are involved and where mountain ranges are found on the earth. Minerals can also be found on these rocky mountain massifs. 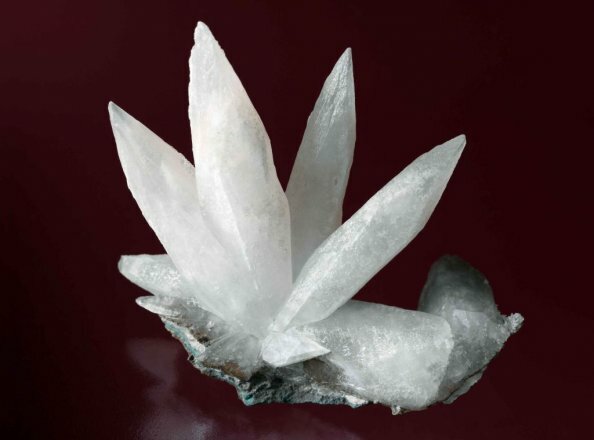 For example, super mountain crystals can be found in the Alpine gorges. In the Himalayas on the other hand, many precious stones such as tourmaline, emeralds and lapis lazuli are also waiting to be discovered. In the New Year, the mineralinos will continue to meet on the first Monday of the month. Boys and girls between the ages of 7 and 11 meet at the children’s club of the terra mineralia to learn more about minerals and rocks and their collection. The mineralinos meet at the cash desk of the terra mineralia at Freudenstein Castle. For more information, please contact the Info Desk on 03731 394654 or fuehrungen@terra-mineralia.de.